What a fun movie this will be for everyone in your family to watch. Then your children (and I include your significant other and maybe you in that term) will have a great time putting together the kit! Watch the videos below then enter the giveaway form--You never know--you may be the lucky winner! This is a sponsored giveaway. All opinions are my own. Are you looking for a cute movie the whole family will love! Add EARLY MAN to the list of movies you must see. It's great for family movie night with lots of laughs! This movie is a stop motion movie. It's pretty incredible! 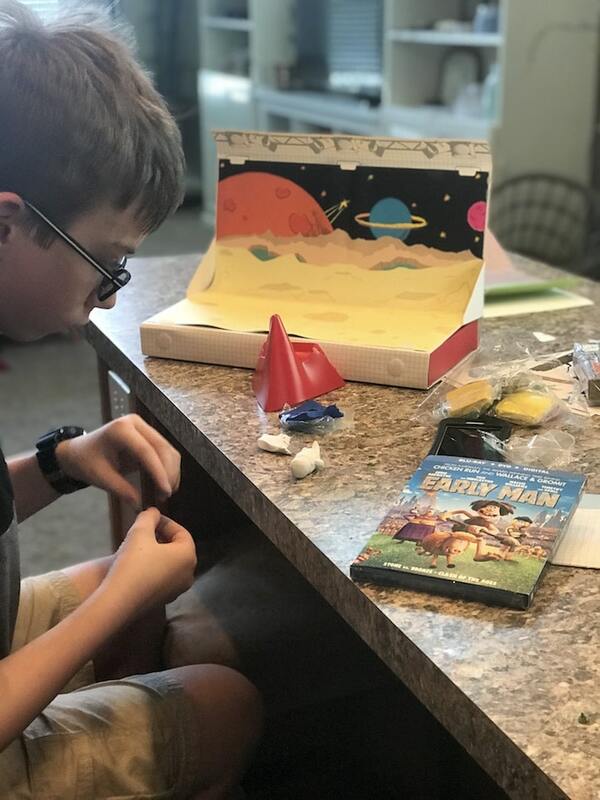 You can enter to win this claymation kit and make your own stop motion movie at home. It was lots of fun. Keep reading to find out how you can win your own kit and a copy of the Blu-ray™ Combo Pack and DVD! 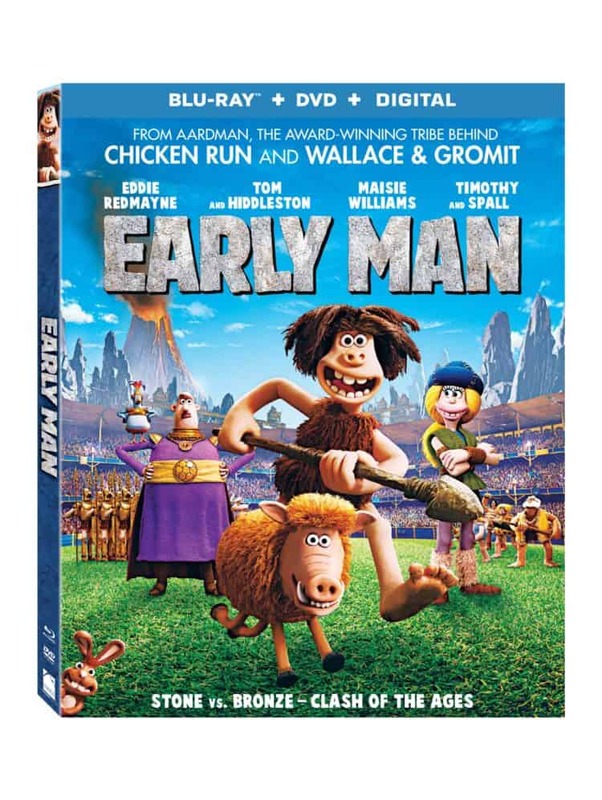 From Aardman, the award-winning tribe that brought you Wallace & Gromit, Chicken Run, and Shaun the Sheep Movie, this prehistoric romp tells the epic story of Dug the caveman and his goofy friends who challenge invaders to a game of soccer in order to win back their home. Perfect for the young and young-at-heart alike, the cheerful tale told in charming, well-crafted claymation is Certified Fresh™ on Rotten Tomatoes and is full of “abundant delights” (Ella Taylor, NPR). Starring in the film are Oscar®-winner Eddie Redmayne (Best Actor, The Theory of Everything, 2014; Fantastic Beasts and Where to Find Them), Tom Hiddleston (Thor: Ragnarok, Kong: Skull Island), Maisie Williams (TV’s “Game of Thrones”), as well as Timothy Spall (Sweeney Todd: The Demon Barber of Fleet Street, Harry Potter Franchise). I just love grilled pineapple in the summer. So yummy. I like pasta salad in the summer and we love going to San Diego or the beach during the summer. My favorite summer food is Watermelon!! We love a good staycation! My favorite summer food is Grilled Hot dogs. I love eating Watermelon at any of the beautiful Beaches here in San Diego! My favorite summer food is anything grilled, I love having a BBQ. I love any vacation that is on the beach. Favorite is watermelon and favorite vacation is to the beach. My favorite summer food is strawberry shortcake and my vacation spot is Gulf Shores, Alabama! Vanilla shakes....and for vacation I have to say Wisconsin Dells! My favorite summer food is watermelon and I think a great vacation spot over the summer is Carolina Beach. During the summer my family loves to make a basic macaroni salad and then change it up by putting in different ingredients each time. We really like bacon, hard boiled eggs and rotisserie chicken. We love homemade ice cream. Yummy! Our favorite place to spend the Summer is our lakehouse. My favorite summer food is hotdogs and I love hanging out at the lake. Love the fishing hole, eating grilled hotdogs. I love watermelon and the jersey shore!